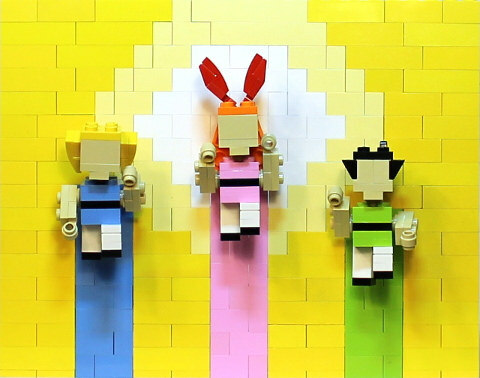 Check out the power of the Powerpuff Girls in this cracking setup from Seattle area builder Michael Kuroda. Blossom, Bubbles, and Buttercup have never looked so good. Bright bold colors, immediately recognisable characters, and a sense of motion and speed. It’s like a still snatched from the opening titles of the cartoon — excellent stuff.